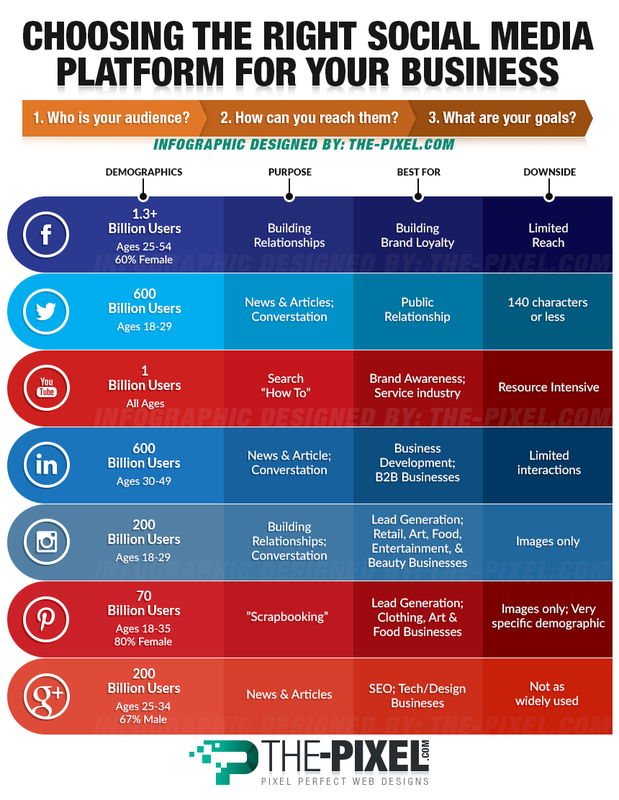 Determining your goal will help you to build your strategy and evaluate the effectiveness of your B2B social strategy. A common question we get from B2B companies is: “What should we be doing on social media?” Rather than launching into social media with posts of everything and anything, we suggest a targeted social strategy for B2B brands. Essentially, a “less is more” strategy focuses on sharing timely content on a select number of networks. In this article, we’ll look at a few essential components of a social media strategy for B2B companies. After reading the essentials in this article (a 5-minute read), you will be able to craft a simple social media strategy for your firm. Answering this question can be tough for B2B brands, but it shouldn’t be. Even if social media is a secondary component of a strong content marketing strategy, it should have a simple goal. Do you intend to increase brand awareness? Are you looking to tap a new market? Do you want to humanize your brand with prospects or clients? Are you looking to build credibility and trust in your brand? How to Choose the Right Channels? You can’t be everything to everyone and you can’t post everything on every social channel. The biggest mistakes we see B2B brands make is to chase every new social platform. At the very minimum, for B2B brands, we recommend having an active presence on LinkedIn. It has been proven to be the best social media platform for connecting professionals in like industries. Beyond LinkedIn, there is no one social channel at we recommend B2B firms incorporate into their content marketing strategy. We’ve found that Twitter and Facebook are great sources for building a steady following, especially as both have paid advertising options. Pinterest and Instagram are also good networks to consider, but are more applicable for product-based B2B firms rather than service-based businesses. Unless you have a dedicated social media manager on your team, we recommend only selecting 2 – 3 social channels on which to build out your brand presence. 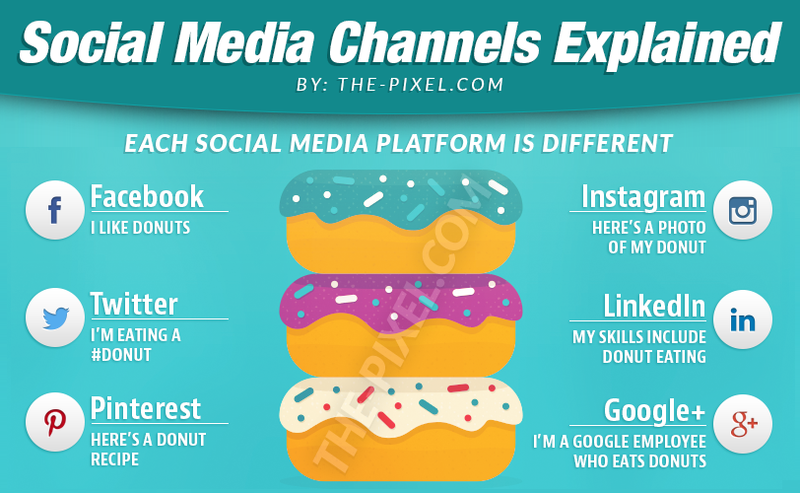 After determining your objectives and choosing your platforms, it’s time to decide what types of content to share as part of your social media strategy. Ideally, you will be posting a mix of different types of content. The rule has always been 80% educational (valuable, objective information that helps your audience) and only 20% promotional (posts about your brand). If you have a content marketing strategy in place, this is a snap. If you don’t, there are a few things you can do to fill in the gaps. Curated content is the best way to fill in the gaps and start to establish your firm as a thought leader or resource. Curating content involves sharing helpful, relevant articles from other companies or industry publications. Why share other people’s content? It shows your firm is taking part in the current trends affecting your industry. It is OK to post promotional content (like special offers or monthly promotions) as long as it is done sparingly. Remember the whole point of social media is to build connections. Connections are built by creating conversations (not just about sales). The main thing to remember is that you are trying to build bridges and make connections with your followers on social media. Everything that you share should either help them do their jobs, save them time, educate them about your industry/products/services, or help them get to know your company. You don’t want to draw negative attention to your brand by posting anything that could be considered offensive. That’s the basis for a B2B social strategy in a nutshell. Draft a quick strategy that includes your objectives/goals, the social platforms you will build out, and the type of content you’ll be sharing. As far as “less is more,” make sure you are sharing quality content, rather than a large quantity of content. If you start pushing a ton of irrelevant content on social media, your followers will quickly tune out your brand. However, if you share small bits of helpful information here and there, your audience will pay close attention.